On 29 March 2018, the Court of First Instance (the “CFI”) in case Lam Wing Hei (a minor suing by her mother and next Friend Lam Tsz Kiu) and Lam Tsz Kiu v Hospital Authority HCPI 1129/2015 handed down its decision and dismissed a claim for “wrongful life”. The detailed reasons for decision were subsequently given on 28 May 2018. It is a medical negligence claim brought by the 1st Plaintiff (“Baby”) and the 2nd Plaintiff (“Mother”) against the Hospital Authority (“HA”), arising out of the circumstances leading to and the birth of the Baby at the Kwong Wah Hospital (“Hospital”) on 15 April 2012. Prior to the birth of the Baby, Dr Richard Choy of CUHK had informed Dr Leung of the Hospital that certain defects were found in Chromosome No.17 of the foetus. The Mother was not told during her pregnancy and the Baby was born with severe deformities, disabilities and impairment of a genetic origin. The HA made an application to strike out the Baby’s claim on the ground that it discloses no reasonable cause of action. The HA denied that it owed a duty of care to the Baby, who was not born when the HA provided advice and/or treatment to the Mother during the antenatal period. The HA also averred that it did not owe any duty of care to the Baby, who was a foetus, to terminate its existence and life. It was not in dispute that (1) the Mother is entitled to bring her claim; (2) the disabilities suffered by the Baby are congenital in nature; (3) those disabilities themselves were not caused by any negligence on the part of the Defendant; (4) there was no assertion of any negligence in the treatment of the Baby after she was born. The Baby’s claim is a “wrongful life” claim or a claim for damages for “wrongful suffering” caused by the Defendant’s negligence in failing to properly advise the Mother who, if properly advised, would have decided to terminate the pregnancy. 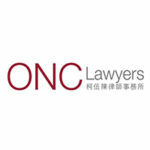 If not, does the common law of Hong Kong permit “wrongful life” and “wrongful suffering” claims. LARCO was based upon the Congenital Disabilities (Civil Liability) Act 1976 of England (the 1976 Act). It was unanimously held in the UK leading case McKay v Essex Area Health Authority  QB 1166, by the Court of Appeal, that the 1976 Act precluded “wrongful life” claims. Sections 22A-C of LARCO adopted wholesale the equivalent provisions of the 1976 Act. The fact that there was no consultation of these provisions and no medico-social and legal discourse on this subject in Hong Kong did not prevent Part IVA of LARCO from becoming the binding law of the land covering this area. The CFI then considered the common law stance on this point. It is well-established that the law of negligence must reflect values generally, or at least widely, held in that community. It was considered that to impose such a duty towards the child would make a further inroad on the sanctity of human life which would be contrary to public policy. The CFI decided that cause of action based on a right of a foetus to be aborted or an interest of a foetus in its own termination does not reflect current values generally, or even widely, held by our community in Hong Kong. As to the concerns that allowing a cause of action for “wrongful life” would raise the fear of opening floodgates, or it might lead to doctors coming under subconscious pressure to recommend abortions in doubtful cases, the CFI said they were not concerned. The Court considered that the decision whether or not to have an abortion is made by the mother and not by the doctor. The CFI further stated that the reason which compels the court the most to reject the cause of action for “wrongful life” is the “intolerable and insoluble” problem of assessing damages in such cases. To claim for damage which is an essential ingredient of the tort of negligence, the plaintiffs must establish that non-existence is preferable to life with disabilities to the child. The court held that it is impossible to use non-existence as a comparator to establish damages. The CFI decided that Hong Kong does not recognise a cause of action for “wrongful life” or “wrongful suffering”, and the Baby’s claim was dismissed. This case is the first precedent in Hong Kong on this issue, and it may be an authority of weight and of persuasive value to other common law jurisdictions. So, when a baby was born with congenital disabilities, the Baby cannot make a claim against the doctor for “wrongful life” or “wrongful suffering” of the baby, on the basis that the mother could have decided to terminate the pregnancy if the doctor informed the mother of the defects in the foetus.